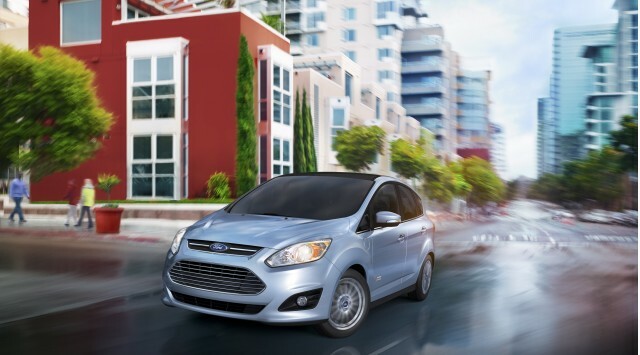 Ford C-Max Hybrid 2013: Finally, a hybrid for everyday life! • By 2013, in North America, Ford will triple its production capacity of electrified vehicles by investing more in rechargeable hybrid vehicles like C-MAX Hybrid and C-MAX Energi rechargeable. • In North America, increasing production capacity of electrified C-MAX range is more appreciable commercial advantage that the introduction of a seven vehicle occupants fuel. • Since last year, Ford has added more than 220 jobs "ecological" in Michigan, including a total of 170 plants of gearboxes of Rawsonville and Van Dyke and more than 50 new engineers in Dearborn has electrified vehicles. • Production of all-new C-MAX Energi plug-in hybrid and C-MAX Hybrid scheduled to begin in Michigan plant in 2012, with batteries produced by local suppliers and boxes bridges for electric vehicles built by workers of blocks Michigan. Ford Motor Company today announced that it will triple its production capacity of its electrified vehicle range by 2013, increasing the volumes of its all-new C-MAX Energi plug-in hybrid and C-MAX Hybrid, which Production will begin next year. According to Jim Farley, vice-president general, marketing, sales and service after sales worldwide at Ford: "Customers now expect has a fuel economy for each new vehicle offered by Ford today and now we further distinguish our range of electrified vehicles thanks to something else that clients truly value - choice. Customers want a rechargeable battery or a fully hybrid hybrid vehicle, we can provide a range of vehicles which gives them a variety of options to best meet their needs, while supporting their lifestyle and their driving habits . Ford electrified platforms - instead of a vehicle at a time - to offer more choice to customers. Five electrified vehicles are planned for North America by 2012 - including the Transit Connect Electric, already in the market, and the Focus Electric in the United States this year, and Canada in 2012 C-MAX. Energi plug-in hybrid and C-MAX Hybrid will be followed by another next-generation hybrid in 2012. Today, Ford sells approximately 35,000 electrified vehicles per year, with, as leaders, Fusion Hybrid and Ford Escape Hybrid - the most efficient intermediary in North America and the most fuel efficient SUV in the world, respectively . Ford will increase its production capacity of electrified vehicles is more than 100,000 per year by 2013, thanks to the growing customer demand for ecological vehicles of the same as for stylish vehicles the size of the new Focus. 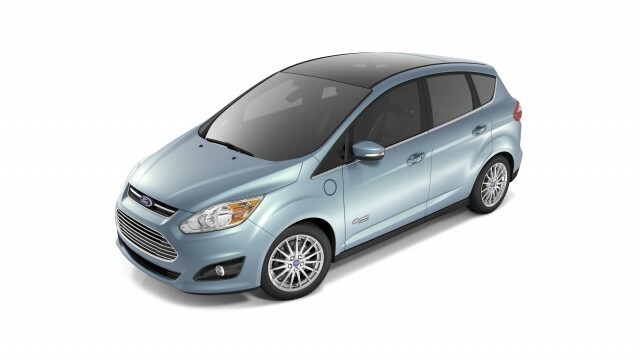 The new Ford C-MAX five-passenger, which is the "parent" of the C-MAX Energi plug-in hybrid and C-MAX Hybrid, even our European dealers twice faster than last year's model. More than 100,000 of these new vehicles were sold in Europe since its launch in late 2010 and Ford has already found new ways to produce more C-MAX models european she has already provided its plant in Valencia, Spain. Mr. Farley continues, "european customers to sell our models C-MAX five occupants, saying they love the sporty appearance, driving quality and comfort and ingenious use of space in the interior of the vehicle. We want to aggressively offer more products like this that people really want and also make informed decisions in support of our plan ONE Ford. " 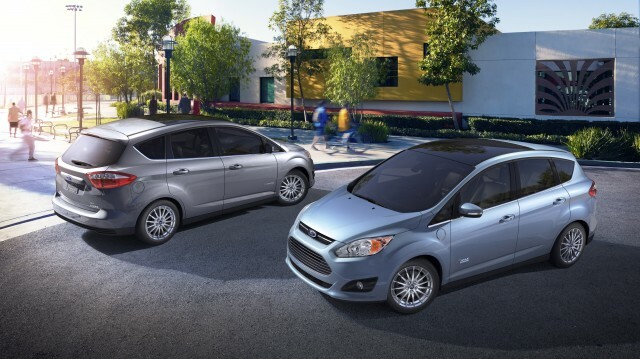 In North America, Ford's plan to invest more in its ability to produce its models C-MAX five-passenger electrified replaces an earlier plan to introduce a model C-MAX Multi seven occupants fuel. It is also the first time that North American customers will have the choice of a specific model for a range of Ford electrified vehicles. New Centre of Excellence in Manufacturing "ecological"
The C-MAX Energi plug-in hybrid and C-MAX Hybrid will be built beside the all-new Ford Focus and Focus Electric 2012 Ford assembly plant in Wayne, Mich., the first plant in the world to produce a fuel vehicles, fully electric, hybrid and plug-in hybrids under one roof. This plant is partially fed by one of the largest solar power plants in the state. This new range of ecological vehicles also created new jobs for Ford and the United States. In all, Ford will add more than 220 technical jobs "ecological" in Michigan alone as the state becomes its center of excellence for the electrification of vehicles. This includes the creation of 170 jobs at plants gearboxes Rawsonville and Van Dyke and hiring 50 new engineers in Dearborn over the past 12 months, specifically for the design and development of key elements for Ford hybrid vehicles, plug-in hybrid and fully has batteries. The employees of the plant Rawsonville Ypsilanti, Michigan, will be responsible for the manufacture of battery packs Lithium-ion peak C-MAX Hybrid, and today Ford confirmed the larger battery packs for C-MAX Energi will also be produced in this factory. The production is currently performed by a supplier in Mexico. Both battery packs are designed, has internally by Ford engineers. Although these battery packs are of size, capacity and energetics of different power, they are designed for efficient production in the same flexible assembly plant. The factory gearbox Van Dyke Sterling Heights, Michigan, also benefits from electrified versions of C-MAX. The employees there make boxes bridges for electric vehicles, a task entrusted at this time a supplier in Japan. Mr. Faley adds: "Ford's commitment to increase its range of electrified vehicles is good news for our customers, employees, the economy and the environment. " 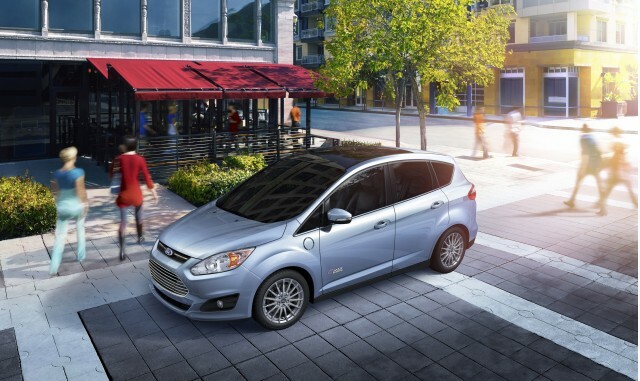 The new Ford C-MAX Hybrid is designed to offer better consumption than Fusion Hybrid and is the first of two new Ford hybrids use the battery technology lithium-ion battery. These batteries are 50 percent lighter and 25 percent smaller than current nickel-metal hydride batteries and increase the amount of energy available, while extending the autonomy of the vehicle and improving its fuel economy. This new hybrid will also run a faster while electric than 75 km / h speed Fusion hybrid mode. The C-MAX Energi, with a system load of 240 volts, can be recharged fully and more quickly than the Chevrolet Volt and is designed to Offir greater overall autonomy than any other electric vehicle battery electric or a prolonged autonomy. It also concerns the standard of a vehicle has advanced technology and partially null emission (AT-PZEV).